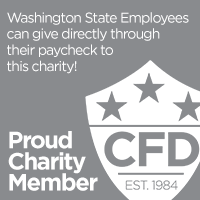 Because TMR is a 100% volunteer 503(c) charity with 0% admin costs we need just $1,600 per month to operate; providing search, rescue & recovery from Mt Adams to Mt Baker and mountain safety education throughout Washington State. But to keep Tacoma Mountain Rescue running we do need $1,600 – so we need you! Please donate online today or contact us about business sponsorship. On behalf of the next life saved – thank you!